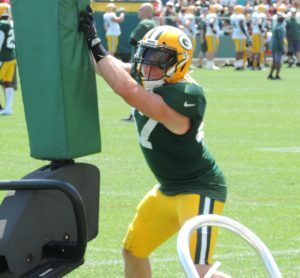 Bryan Bulaga hopes to be ready by Sunday. A week ago, the Green Bay Packers had all 53 players on their roster available to face the Los Angeles Rams. It’s as healthy as they’ve been during the middle of a season in recent memory. That all changed after a trip to New England. Wide receiver Geronimo Allison saw core injury specialist William Meyers in Philadelphia and could be facing surgery, which would force him to miss at least 3-4 weeks. Defensive back Kevin King suffered a hamstring injury against the Patriots. 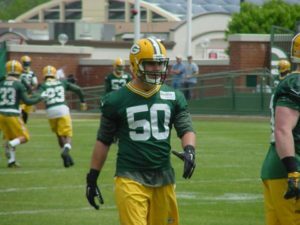 Coach Mike McCarthy said King will be “hard pressed” to play Sunday against the Miami Dolphins. Linebacker Blake Martinez and safety Kentrell Brice are both dealing with ankle sprains and right tackle Bryan Bulaga is dealing with a knee injury. The Packers feel Bulaga dodged anything series and will be given the week to determine his playing status for Sunday. The Packers claimed safety Ibraheim Campbell off waivers from the New York Jets on Monday. The Cleveland Browns drafted Campbell out of Northwestern in the fourth round of the 2015 draft. He played under Mike Pettine with the Browns and wound up starting 11 games over three seasons. After being cut by the Browns in 2017, Campbell spent time with Houston, Dallas and the New York Jets. 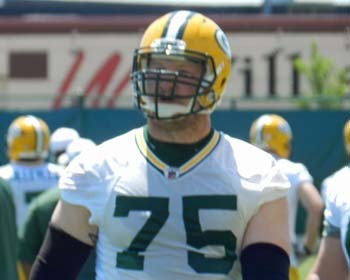 Less than a week into training camp, the Green Bay Packers have already suffered what appears to be at least their first major injury. Linebacker Jake Ryan went down during an 11-on-11 drill, grabbing his knee in pain. Blake Martinez spoke with Ryan right after practice and said the linebacker was devastated. The Packers didn’t release any information on Ryan’s injury. He’ll undergo an MRI today, to determine the seriousness of the injury and just how long he’ll be out. Next up behind Ryan is rookie Oren Burks, who has played all of the positions in the first week of training camp. Safety Kentrell Brice also was carted off with a leg injury and defensive end Mike Daniels left with early but said he’ll be OK. The Packers will return to the practice field on Tuesday. 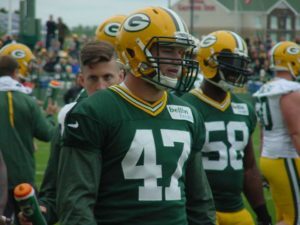 The Green Bay Packers may be forced to move Clay Matthews back to inside linebacker after losing rookie starter Blake Martinez. Martinez is expected to miss two to four weeks with an MCL sprain to his left knee, an injury that he suffered late in the Packers 42-24 loss to the Washington Redskins on Sunday night. 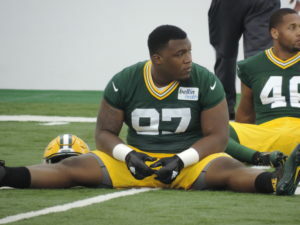 After spending the weekend in Green Bay at the Packers’ Rookie Orientation, first round draft pick Kenny Clark and a few of his teammates have returned to school. NFL rule prohibits Clark, along with fellow rookies Trevor Davis and Kyle Murphy from sticking around in Green Bay. Clark goes to UCLA, Davis goes to California and Murphy attends Stanford. All three are quarter system and the NFL says rookies can’t take part in team activities, other than the rookie camp, until their schools are out of session in early June.